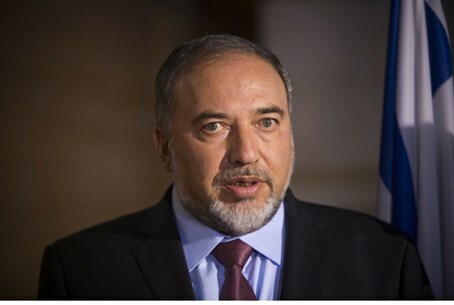 Foreign Minister Avigdor Liberman gives grim prediction ahead of Palestinian Arab unity government elections. Foreign Minister Avigdor Liberman (Yisrael Beytenu) sharply criticized Palestinian Authority (PA) Chairman Mahmoud Abbas Tuesday, at a Diplomatic Corps dinner hosted at the Presidential Residence for Israel's 66th Independence Day. "Abbas's actions brought Hamas to power in Gaza and now it will rise to power in Judea and Samaria," Liberman warned, stressing that "no matter when elections are, Hamas will win and take control of the Palestinian Authority." He added that "there are, especially in Europe, those who do not want to see the Palestinians not trying for peace. The time has come to remove the mask from the face of Mahmoud Abbas and show that he clearly rejects peace." Hamas and Fatah's reconciliation deal last month has raised security concerns in Israel and utterly torpedoed peace talks. However, as Liberman may have alluded, the European Union (EU) has dismissed those concerns based on its conviction that PA Chairman Mahmoud Abbas, not Hamas leader Ismail Haniyeh, would remain in charge of a unity government. "The fact that President Abbas will remain fully in charge of the negotiation process and have a mandate to negotiate in the name of all Palestinians provides further assurance that the peace negotiations can and must proceed."